New to Cryptocurrency? With the investment opportunities available you’d be crazy not to get involved. However, if you’re worried about safety or think that your coins won’t be safe then this article will show you how to protect your coins using cryptocurrency wallets! The burning questions many of us new to Crypto have relate to how to safely store and protect our coins? After all, we’re dealing with the Internet here and the last thing you want is for your hard earned cash to be taken away from you by some nefarious hacker. Cryptocurrency might be different to traditional fiat money in many ways, but you still need to store and protect your coins, not necessarily from pickpockets on the street, but from hackers on the Internet. In this article, we give you the lowdown on everything you need to know about cryptocurrency wallets, from how they work, to how to store cryptocurrencies and which digital wallets you should choose. What is a Cryptocurrency Wallet and why you need A Cryptocurrency Wallet? A cryptocurrency wallet is very different to your physical wallet. Cryptocurrency wallets don’t store cash or your coins – Instead, cryptocurrency wallets store your public and private keys. Without these keys you can’t send or receive your currency. Public keys are like your bank account number and can be freely distributed to anyone. Think of a private key as being like the PIN number for your bank account. You use your private key to communicate with the coin’s blockchain which stores the ownership information and latest currency transaction records. Only you should have access to your private key. Never divulge your private keys to anyone. If anyone else gets access to your private keys, they will also have access to your coins and can make unauthorized transactions. Now If you store your cryptocurrency on an exchange such as Coinbase or Binance then these exchanges will hold your private keys for you. So don’t panic if you didn’t receive your private keys. You will never get given your private keys by an exchange unless you decide to withdraw your coins from the exchange into a private wallet. The benefits of this are that it allows you to make trades in real time. But if a hacker manages to hack the exchange then this means they can potentially steal yours and millions of other exchange users private keys. In order to store your private key, you need to have a cryptocurrency wallet. Now some coins will have their own official wallet, while for others you’ll need to use a third-party wallet like an exchange-based wallet. So Where Are My Coins Stored? A common mistake that people make is that due to this traditional notion of a wallet that your coins are stored in your wallet. But as you may have gathered from above, your coins aren’t tucked away inside your cryptocurrency wallet, instead, your private key is stored in your wallet. So how are cryptocurrency coins stored? It’s a coin’s respective blockchain where your coins are stored or rather the ownership information of the currency. The blockchain stores the ownership information of the coin and details like the transaction like creation time. Anyone who has access to your public keys can check your balance, as well as your transaction history, but it’s only the person with access to your private keys (which should be you) that can perform transfer transactions. Whenever a transaction is initiated, your account is scanned to determine your available balance. If your new transaction exceeds the available balance, the network will reject it and it won’t put into a block to form part of the blockchain. Digital coins of course, are abstract, so it’s a bit of a misnomer to say that blockchains “store the coins”. Coins are not stored anywhere (if we’re going to get all technical). Instead, what the blockchain does is it stores transaction info. Think of it like online banking – you never see the physical money on your screen, you only see numbers and transaction histories. A desktop wallet is generally considered to be one of the more secure types of digital wallet. However, the security of the wallet all depends on how secure your computer system is. If you’re security conscious, your desktop wallet should be pretty secure. If you’re a bit lax, you might be a bit more vulnerable to hackers. Desktop wallets are easy to use and it means that your private keys aren’t stashed away on a third-party server hosted somewhere on the Internet but instead on your own personal computer. That said, if you connect your computer to the Internet you are always vulnerable to hacking. Another disadvantage of a Desktop wallet is that if your computer dies and you haven’t backed your wallet up, you’re kind of screwed! Online wallets are usually accessed through your web browser. Hot wallets (which we’ll discuss a little later) are referred to as online wallets, and in general online wallets are very attractive to hackers as they are able to hack these websites to obtain private key details. Users of online wallets can become vulnerable to malware and phishing scams. With an online wallet it is important to note that your wallet isn’t even in your hands – all your coin info is stashed away on a third party site. Remember too that any time you’re hooked up to the Internet, your computer is open to attack. On the other hand, there is no quicker way to make a transaction than with an online wallet. Online wallets are also great for holding smaller amounts of coins especially if you are into trading and need to buy or sells coins in a hurry. Think of a mobile wallet as a wallet on-the-go. Wherever you are, provided you have your mobile device on you, you can check your balance and accept and send payments. These wallets allow you to use features like tap and go payment options (providing the merchants allow for such payments). They’re a more practical wallet than the other wallets and come with more features than your typical online or desktop wallet. However, phones aren’t exactly the most secure device around, and if your phone’s security has been breached, it’s pretty much game over. Nothing will save your coins. Hardware wallets are arguably one of the most un-user friendly wallets available but they’re more secure than online wallets. Think of a hardware wallet as being similar to a USB stick where you backup your crypto private keys onto your hardware wallet. In fact, a hardware wallet is probably the most secure way to store your coin information as they are not connected to the internet. This makes them extremely hard to be hacked. If you’re a nervous or risk adverse person in general, a hardware wallet is a good investment – especially if you want somewhere to store lots of coins. On the other hand, they’re not easy to use and they’re not always easy to get a hold of especially if you want to sell your coins in a hurry. Paper wallets are the trickiest to understand and they’re probably a no-go for beginners. That said, they’re super secure and ideal for security conscious folk. Paper wallets are literally where you write down your private keys onto a piece of paper and the store them in safe place. They are never connected to a computer and therefore they cannot be hacked. But if you lose your paper wallet you’re coins are gone. These wallets are not recommended for beginners. The short answer is: Some are and some aren’t. Helpful? Right! Let me elaborate. No doubt some of the information presented above will have sounded a bit alarming. True, hackers can attack your computer and steal your coins. But the same can happen with traditional banking systems as well. But before we get too scared, we need to take a look at how secure crypto wallets really are. Put simply, a wallet is either connected to the Internet or it isn’t. If it is connected to the internet, it’s termed “a hot wallet” and can be vulnerable to hackers. If your wallet isn’t connected to the internet, “it’s termed a cold wallet” and generally WAY MORE secure. We’d surely all go for cold wallets then, right? Not necessarily. Hot wallets are much more convenient and easier to use and they process transactions faster. Cold wallets are generally cumbersome and hard to understand for beginners, but they are more secure. Choosing a hot or a cold wallet, then, is a matter of priorities. What do you want out of a wallet? Hot Cryptocurrency wallets store your coins in a third party server and infrastructure. This is risky because if a hacker attacks and drains the third party, you’ll probably lose all your coins. Coinbase is perhaps the most popular hot wallet. If it gets hacked, Coinbase users lose including everyone who has a Coinbase account and stores cryptocurrency at Coinbase . Of course, Coinbase does all that it can to make sure it’s as secure as possible, and so far so good. And – like many other hot wallets – it’s super easy to use. Cold Cryptocurrency wallets are almost hacker-proof. The device – either hardware or paper – is kept offline, which means hackers can’t get at it. So far, we’ve not seen any reports of a cold wallet being hacked. However, there’s still a first time for everything, but it’s highly unlikely that we’ll ever see such a report. 1) Do you need a multi-currency or single currency-use wallet? Some wallets are currency-specific and therefore cannot hold more than one type of Cryptocurrency. But with so many coins available, it might be a good idea to go for a multi-currency digital wallet that allows you to store various digital coins in one place. Exodus is an example of a multi-currency wallet that stores Bitcoin, Ether and many other coins. 2) Are you worried about being hacked or storing large amounts? As mentioned above, it’s all about priorities. If you don’t want to be hacked and you’ve got a lot of money invested in coins that need to be stashed away, always go for a cold wallet as it’s pretty much bullet-proof where hackers are concerned. You just need to make sure not lose it! Exodus is a desktop wallet that stores multiple different coins from Bitcoin, Ethereum, Litecoin, Dash and host of other coins. It’s super user-friendly and offers an easy-to-read guide that will help you back your wallet up. You can download the Exodus wallet here. Jaxx is a multi-currency wallet that’s available on numerous platforms and devices including mobile devices. 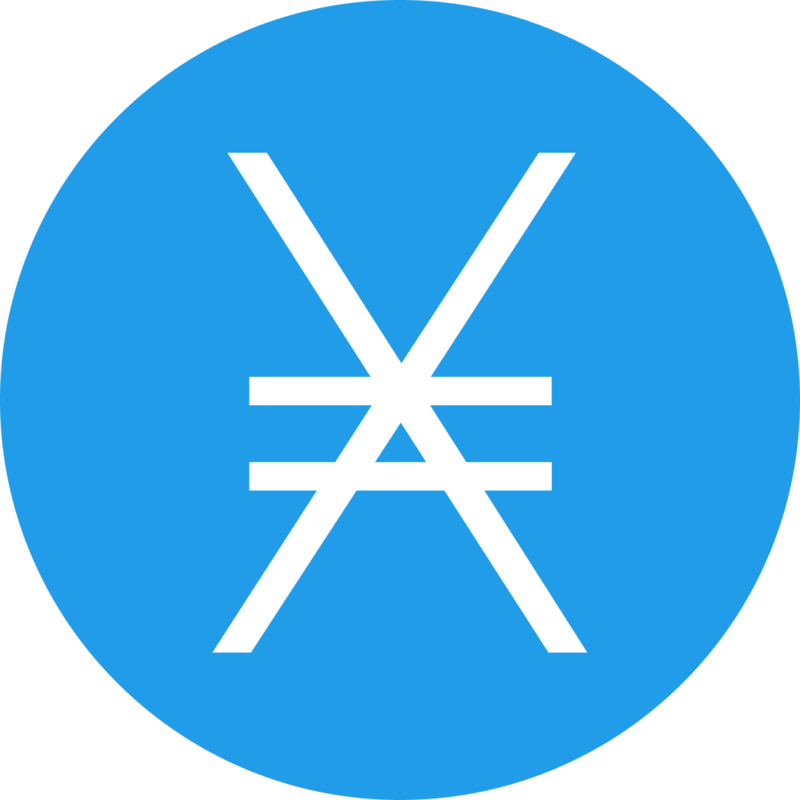 It also lets you convert coins from one currency to another via the third party ShapeShift app, and offers excellent user support. You can download the Jaxx wallet here. Ledger Nano is a hardware wallet aimed at Bitcoin and alternate coin users who want more security. Thanks to a second security layer, Ledger Nano is able to thwart attack vectors, and it doesn’t even cost that much – just $65. A hardware Bitcoin wallet, Trezor is ideal for anyone who needs a place to store a lot of Bitcoins. It’s bullet-proof against malware and your private keys will never be exposed. Trezor is also easy to use, open source and ideal for beginners. It does, however, cost $99. Trezor is also easy to use, open source and ideal for beginners. It does, however, cost $99 and is a little bit more on the pricier side. As we’ve already mentioned, the wallet you pick will come down to what your priorities are. For example, how risk averse are you? If cold storage is important to you, and if you’re an investor who needs to store a lot of coins and is holding for the longer term than it’s hard to look beyond either Trezor or the Ledger Nano. Trezor is the most expensive out of the two, but it’s pretty much as safe as a bank that holds your physical cash. It’s transparent and user friendly. Ledger Nano is much the same and no computer is even needed to recover your wallet. Due to the lower price point we are a bigger fan of the Ledger Nano. This article does not constitute financial advice and all investors should invest in cryptocurrency at their own risk and get independent legal and financial advice should they feel it necessary. For me personally Ledger is the best way for cold storage. Other crypto I put on a market and don’t really care.